So, pretty well. That’s a common trait to months when I’m running an A To Z. I post something in the sequence three times a week, and that, plus “Reading the Comics” features, and the occasional fill-in extra mean I have a lot of stuff that people find interesting. According to WordPress’s statistics there were 1,232 pages viewed around here in September, which is comfortably over the 1,000 mark that I think is important for some reason. It’s also the third-highest monthly total I have, coming in just behind the March-April 2016 Leap Day A To Z peak. Back then I went two whole months with something posted every day. Some of that, back then, was reblogs, but that’s all right. It looks the same to the statistics page. September it looks like somebody did a deep archive binge at least once, but again, that’s all people looking at something they find interesting enough to try. There had been 1,030 pages viewed in August, and a relatively mere 911 in July. But in August and September there were 21 and 20 posts, compared to only 13 in July. For all that, and for as happy as I was with my writing — I think this A To Z was my best glossary sequence yet — it got fewer reader ‘like’s. Only 98 in September, down from August’s 147 and even July’s 118. I’ve been in a rut with those lately and I’m not sure what I need do. In the first A to Z month I ever did there were 518 likes clicked, and where all those potential readers have gone is beyond me. Especially since the number of pages viewed has not shrunk in all that time. Also mysterious: while the month felt like a chatty one in my comments, it wasn’t really. 42 comments posted, including my own, in September, down from August’s 46 and July’s 45. That beats the doldrom months before that, but again. June 2015: 114 comments. Same number of page views as back then. Even more unique visitors than back then. I don’t mean to say things that shy people away from commenting, but I seem to be doing it anyway. There’s no real sense to deciding what you want your audience to like. They’ll like what they do and you have to yield gracefully to that. But I am glad with those three being the top A To Z posts this past month. They’re ones I think I did well on. I also think that if it had come earlier in the month, then X would have made the top five. Maybe it’ll make next month. 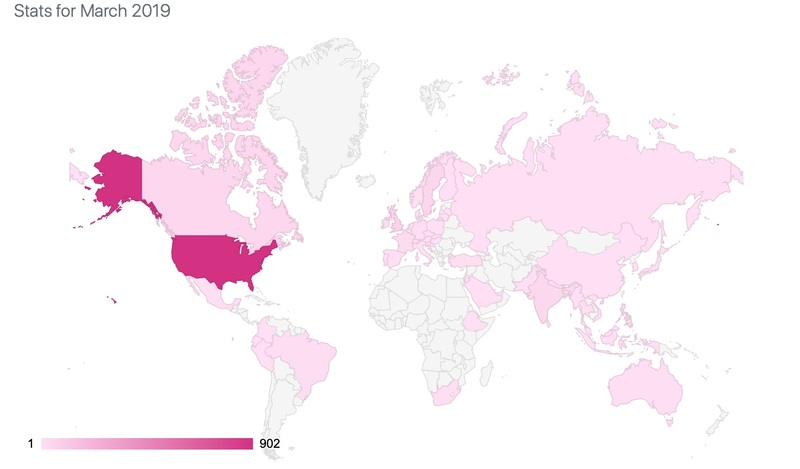 So: what are the countries my readers come from? And is this really quite as popular a thing as I always say it is? Here we go. There were, I honestly believe, 65 countries sending me readers this past month. 25 of them were single-reader countries. In August there were 62 countries sending readers, if you count the European Union and the US Virgin Islands, and for that matter Puerto Rico, as distinct countries. This month, yeah, WordPress lists Guam and Puerto Rico as countries. Also September made me aware of how many of my countrymen apparently didn’t hear about the War of 1898 somehow? I honestly don’t know. I mean, I realize that I’m an unusually history-oriented person, in that I have, without exaggeration, delighted people with trivia about the Webster-Ashburton Treaty. But jeez, this was war with Spain and the coming-out party of American imperialism. You’d think word would have filtered through. Anyway, in September there were 20 single-reader countries with the usual sorts of notes about that. Armenia, Chile, Puerto Rico, United Arab Emirates, and Venezuela were single-reader countries last month; no country’s on a two- or more-month streak. Insights says my most popular day for reading was Monday, with 20 percent of page views then. Last month it was Wednesday with 18 percent of page views. The most popular hour was 6 pm, with 8 percent of page views. 6 pm WordPress Time is when I schedule stuff to post, so you’d expect that to be popular. But 8 percent not exactly a major bump. I guess people come whenever it’s convenient to their schedule, not my publication. Which is fine. I start the month with 53,298 page views, from an admitted 24,673, though that’s a probably incomplete count. I’ve also got 717 followers, most of them by WordPress — as you can do from the “Follow Nebusresearch” button at the upper-right corner of the page — and a handful from email. That you can do by the “Follow Blog Via E-Mail” button up there too. On Twitter I’m @Nebusj. I’m a lot like I am here, there, but shorter. Please feel free to join me there. Well, August 2017 was wholly soaked up by the August 2017 A-To-Z project. I should have expected that, based on past experience. But I’d hoped to squeeze out one or two Why Stuff Can Orbit posts, since I have that fine Thomas K Dye art to go with it. But I’ve also had more challenging topics to describe than I’d figured on. That’s all right. I’ve really liked the first month of it. These things usually see my readership rise, and so it did this time. After June’s 878 page views and July’s 911, August saw me creep back above a thousand views at last: 1,030. The number of unique readers rose too, from June’s 542 to July’s 568 up to August’s 680. That is as the number of posts I did rose from my normal 13 (I’d had 12 or 13 posts each month all year) to 21, so maybe it’s not the most efficient reader-per-word tradeoff. Hm. It’s made me more likable, though. 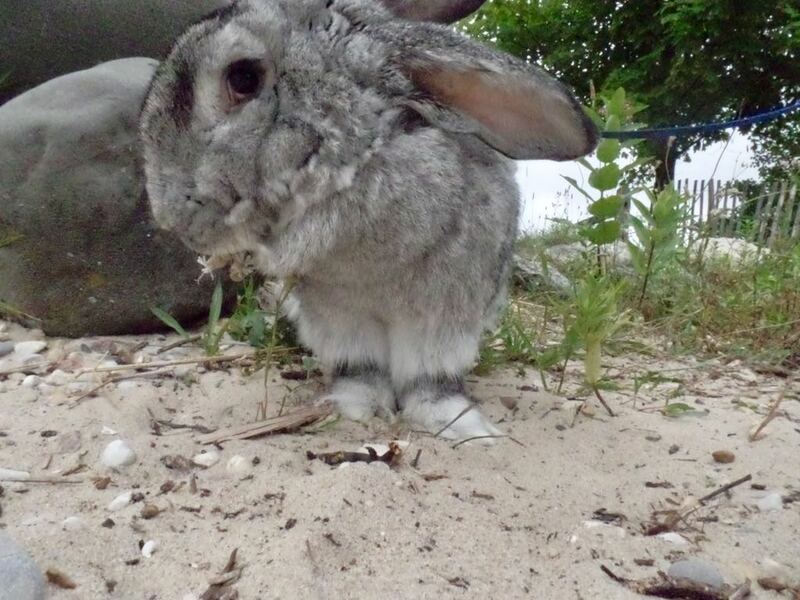 The number of likes has risen from 99 in June to 118 in July and to 147 in august. Still nothing like June 2015 when I did the first of these glossaries, though. Ah well. The number of comments held steady, 45 just as in July. There’d have been more but I wasn’t able to answer a couple comments before the end of the day Thursday. It’ll go into September’s statistics. Anyway, June had a poor 13 comments. … And I admit I’m flattered how many of August’s comments were people happy with the A To Z essays I wrote. I’ve been happy with them myself. There were 62 countries sending me readers in August, trusting that you count the European Union and for that matter the US Virgin Islands as countries. There were 60 in July and 52 in June. This time around there were 20 single-reader countries, just as in July, and up from June’s 16. Hungary’s in its third month of being a single-reader country. Cambodia, the European Union, Israel, Oman, and Saudi Arabia are on two-month streaks. According to Insights, my most popular day of the week was Wednesday, when 18 percent of page views came in. This shows what happens when I have major content posted on days that aren’t Sunday. 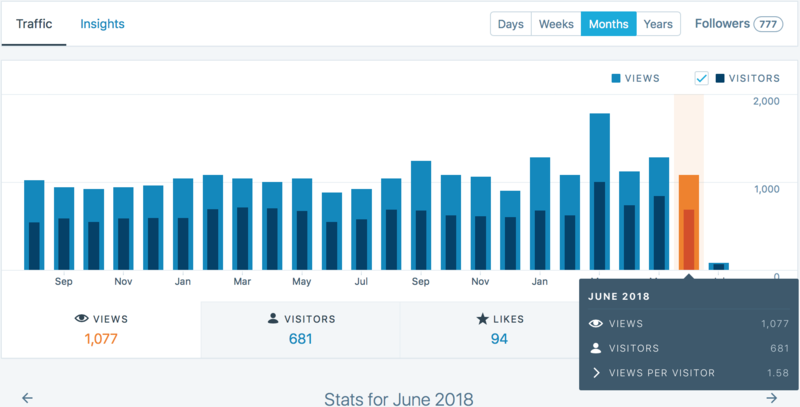 Of course, in July it was Monday (19 percent) and in June it was Sunday (18 percent), so I guess the only thing to do is project that in September my busiest day will be Saturday with 19 percent of the page views again. The most popular hour was 4 pm, with 11 percent of page views, which is intriguing because I shifted from setting most stuff to post at 4 pm to posting at 6 pm. That’s only 11 percent of page views this past month, though. In July it has been 19 percent of page views; in June, 14 percent. This seems like a crazy wide fluctuation in viewing per that hour and I wonder what’s going on. WordPress says September begins with my blog having 689 WordPress.com followers, who’ve got me on their Reader pages. That’s up from 676 at the start of August and 666 at the start of July. Would you like to be among them? I’d like you among them. You can join this bunch by clicking on the ‘Follow Nebusresearch’ button at the upper-right corner of the page. If you’d like to follow by e-mail, there’s a ‘Follow Blog Via E-Mail’ button up there too. Those on Twitter know me as @Nebusj. Those not on Twitter don’t need to worry about it. The problem will take care of itself.